Adekunle Ajasin University, Akungba-Akoko, AAUA change of course application form for the 2018/2019 academic session is out. 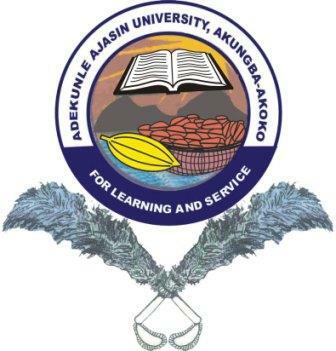 The management of the Adekunle Ajasin University, Akungba-Akoko (AAUA) is inviting candidates that participated in the university admission screening exercise but are yet to be offered admission to apply for the few places that exist. SEE ALSO: AAUA Admission List for 2018/2019 Academic Session. AAUA Admission Requirements for Change of Course. Change of course is still on. Go to a CBT centre or JAMB office nearest to you. Make sure you abide by the requirements and cut-off points. How and where do they apply for the change of course? @faith, there is nothing strange there. Can you tell us what you don’t understand. @damselcassie, the admission list should be out any moment from now. @ damselcassie, you are safe. You will tender your Olevel during screening. when d new student are to resume for 2014/2015. @dare isaac, not yet announced. But that should be 2015. Y is d change of course form out?,cos it as never happen b4 in Aaua. @Olanike, it’s a new development. @ damselcassie, you will see a successful submission notification after the whole thing. @ elizabeth, 5 SSCE credit passes to include English. Pls d change of course is not working in my own side, is it truely working. @ Ayetty, the change of course is working.